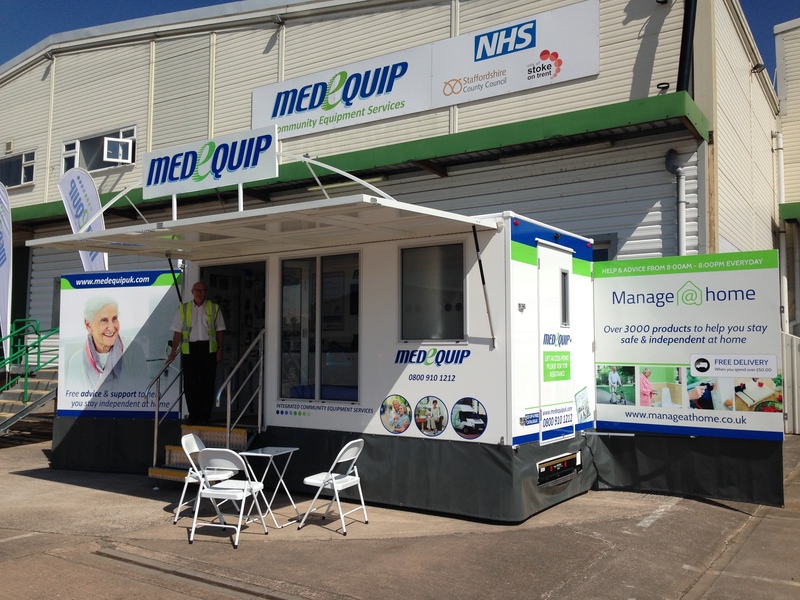 The Medequip promotions team will have their busiest ever week during Dementia Awareness Week commencing on 15th May. This Dementia Awareness Week we are supporting the Alzheimer’s Society campaign to unite against dementia, by promoting awareness through using our exhibition unit and pop-up table top information point across 5 of our contract areas at 6 different events. Our week starts at the Anne Marie Howes Centre in Birmingham. (339 Sheldon Heath Rd, Birmingham B26 2DS) where we have a table-top information point providing advice on equipment that can help those suffering from dementia. On Tuesday, our exhibition unit will be at Mickleover Golf Club which is hosting a dementia conference, hosted by Derby Teaching hospitals and NCORE, the National Centre of Rehabilitation Education. On Wednesday – we will be at Royal Derby Hospital main entrance with the exhibition unit and simultaneously supporting an awareness event at Derby Heights Care Home in Littleover. Thursday – sees the exhibition unit out for a 3rd consecutive day – this time Milen Care at Batley in Kirklees. Milen Care are hosting a Health Matters and Dementia awareness event – which will feature, benefits assessments, health checks advice and guidance. 20 different organisations with have stalls at this event. To finish our support for Dementia Awareness Week we will take the exhibition unit to Endon Methodist Church in Stoke-on-Trent for the Approach Staffordshire event which is designed to highlight the support available locally.